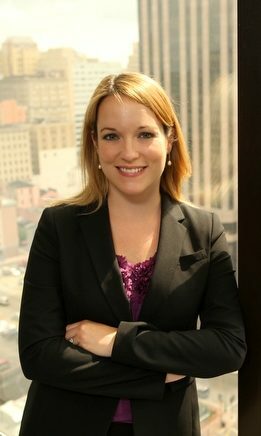 Nicole Adler is a shareholder in the firm’s New Orleans office, and she has practiced labor and employment law since 2007. She represents employers in litigation matters across the country, with a particular focus on employers offering business process services and in the oil and gas industry. Ms. Adler has extensive experience representing clients in arbitration and federal and state court, with particular expertise in drafting and enforcing mandatory arbitration agreements. Ms. Adler’s practice area encompasses the range of labor and employment issues, including Title VII, American with Disabilities Act (“ADA”), Family Medical Leave Act (“FMLA), and state law discrimination, harassment, and retaliation litigation, EEOC complaints and investigations, Department of Labor investigations and audits, employment contracts, non-competition and non-solicitation agreements, and the gambit of employment-related state law tort claims. Ms. Adler has also represented employers on wage and hour issues in both the court system and before the Department of Labor’s Wage & Hour Division (WHD). In addition, Ms. Adler handles traditional labor matters, including labor arbitrations, unfair labor practices charges, and elections. While in law school, Ms. Adler clerked for the National Labor Relations Board’s (“NLRB”) Memphis office. In addition to litigation services, Ms. Adler advises her clients regarding a variety of employment matters, including employee handbooks and policies, severance agreements, and other employee contracts. Ms. Adler is a frequent speaker on issues in the workplace. Prior to practicing law, Ms. Adler worked as a reporter for an NBC affiliate in Monroe, Louisiana.